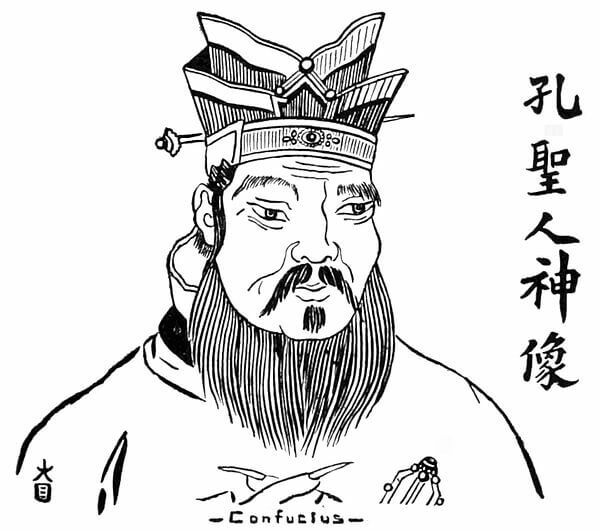 A Story from Confucius is a lesson in self-control, published in Chinese Fables and Folk Stories (1908), translated by Mary Hayes Davis and Chow-Leung. Confucius once heard two of his pupils quarreling. One was of a gentle nature and was called by all the students a peaceful man. The other had a good brain and a kind heart, but was given to great anger. If he wished to do a thing, he did it, and no man could prevent; if any one tried to hinder him, he would show sudden and terrible rage. One day, after one of these fits of temper, the blood came from his mouth, and, in great fear, he went to Confucius. "What shall I do with my body?" he asked, "I fear I shall not live long. It may be better that I no longer study and work. I am your pupil and you love me as a father. Tell me what to do for my body." Confucius answered, "Tsze-Lu, you have a wrong idea about your body. It is not the study, not the work in school, but your great anger that causes the trouble. "How many teeth have you?" "How many teeth have you lost?" "I lost one when I was nine years old, and four when I was about twenty-six years old." "And your tongue—is it still perfect?" "You know Mun-Gun, who is quite old?" "Yes, I know him well." "How many teeth do you think he had at your age?" "How many has he now?" "Two, I think. But his tongue is perfect, though he is very old." "You see the teeth are lost because they are strong, and determined to have everything they desire. They are hard and hurt the tongue many times, but the tongue never hurts the teeth. Yet, it endures until the end, while the teeth are the first of man to decay. The tongue is peaceful and gentle with the teeth. It never grows angry and fights them, even when they are in the wrong. It always helps them do their work, in preparing man's food for him, although the teeth never help the tongue, and they always resist everything. "And so it is with man. The strongest to resist, is the first to decay; and you, Tsze-Lu, will be even so if you learn not the great lesson of self-control." This story is featured in our collection of Short Short Stories, Morality Tales. Add A Story from Confucius to your own personal library.